The mobile subscriber base in India has already touched the 1 billion mark. With leading brands of smart phones outselling each other in the Indian market; it is not quite far away before each and every member of an average Indian household is going to have a mobile phone of his own, even in remote rural areas. In fact, if you look around you would find that the mobile device is used so thoroughly that it has, in many cases, replaced even our closest familial connections – just like our shadow, the smart phone is there with us at all places. To remain connected and online, your phone needs to be recharged at all times. 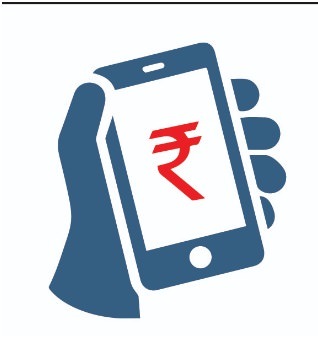 The percentage of prepaid mobile subscribers in India is predominantly high. In order to keep the connection activated your mobile recharge needs to be done on time. Since there are hundreds of different kinds of recharge plans online from your cellular service provider that offer lots of freebies like internet data, free calls, SMS, free roaming and others, it is invariably important that you choose a plan that befits your requirement. The best part is that one can get his mobile recharge done not only using the service provider’s official website or App, it can also be done using third party retailer’s site and Apps like the Paytm App, MobiKwik App or even PhonePe App. So, as a customer you have many options to choose from, with so many competitive and reliable brands available offering easy and economical recharge options, discount coupons, cash back offers, promo codes etc. Choosing the right type of offer that helps save maximum money should be the objective of each and every prepaid subscriber. Online mobile recharge method has taken away the stress of going to a shop to get the top-up done. Whatever be the time of the day (and night), whether at home, office, party or travelling, whether it is raining heavily outside or there’s a sandstorm, nothing can stop the subscriber from extending the validity and balance of his prepaid mobile connection anymore. Sitting in the comfort of your home, with few simple clicks on the keypad, your recharge process is done. Whether you have to recharge one mobile number or more, whether the mobile recharge belongs to one service provider or more and whether it is a combination of a recharge and bill payment of a postpaid connection, everything can be done from a single platform. Just remember few basics – keep your payment information handy so that the process is not unnecessary delayed; do not use the ‘Back’ or ‘Refresh’ button on your browser during the payment processing and remember to use a private Wi-Fi network or mobile data on your smart phone. If possible download the App of a trusted retailer or even the App of the service provider on your smart phone so that the process time is further shortened. Be smart to adopt the latest technology for safe and smooth mobile recharge!